Best-selling author Joyce Carol Oates blends sexual violence, racism, brutality, and power in her latest incendiary novel. Best-selling author Joyce Carol Oates returns with an incendiary novel that illuminates the tragic impact of sexual violence, racism, brutality, and power on innocent lives and probes the persistence of stereotypes, the nature of revenge, the complexities of truth, and our insatiable hunger for sensationalism. When a fourteen-year-old girl is the alleged victim of a terrible act of racial violence, the incident shocks and galvanises her community, exacerbating the racial tension that has been simmering in this New Jersey town for decades. In this magisterial work of fiction, Joyce Carol Oates explores the uneasy fault lines in a racially troubled society. In such a tense, charged atmosphere, Oates reveals that there must always be a sacrifice - of innocence, truth, trust, and, ultimately, of lives. Unfolding in a succession of multiracial voices, in a community transfixed by this alleged crime and the spectacle unfolding around it, this profound novel exposes what - and who - the "sacrifice" actually is, and what consequences these kind of events hold for us all. Working at the height of her powers, Oates offers a sympathetic portrait of the young girl and her mother, and challenges our expectations and beliefs about our society, our biases, and ourselves. 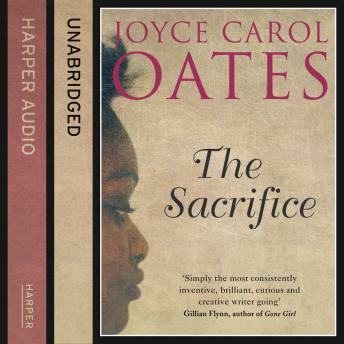 As the chorus of its voices - from the police to the media to the victim and her family - reaches a crescendo, "The Sacrifice" offers a shocking new understanding of power and oppression, innocence and guilt, truth and sensationalism, justice and retribution. A chilling exploration of complex social, political, and moral themes - the enduring trauma of the past, modern racial and class tensions, the power of secrets, and the primal decisions we all make to protect those we love - "The Sacrifice" is a major work of fiction from one of our most revered literary masters.